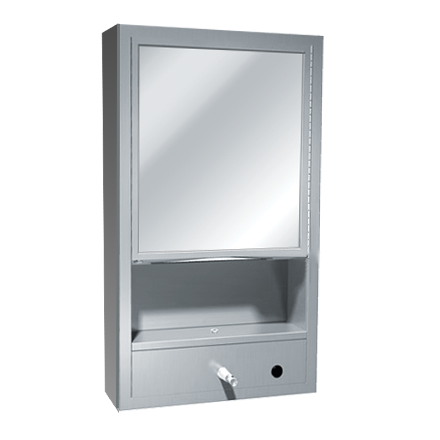 Combines shelf, mirror, towel dispenser and 101 fluid ounce (3 L) soap dispenser. Unit dispenses 600 C-fold or 800 multi-fold paper towels. 15-year mirror silver spoilage guaranty. Surface mounted with 9″ stainless steel collar.